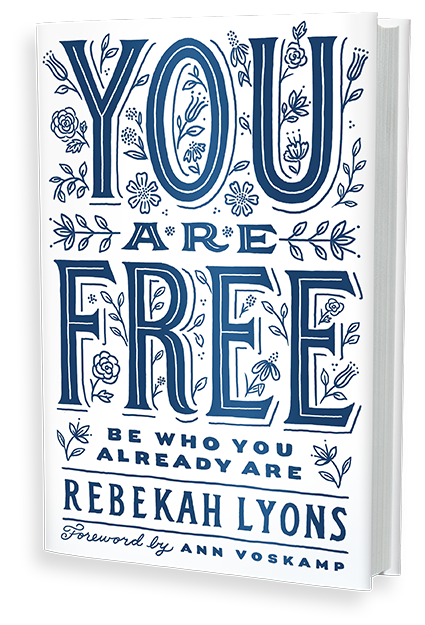 I am so excited about the release of my new book, You Are Free: Be Who You Already Are (coming February 21st!). This is a message I not only am passionate about, but a message I have personally lived. For years I hustled and chased life by the tail, desperate to keep up. Finally, I went back to the pages of Scripture, which assured me that when Christ calls us to a free life, he calls us to operate out of the freedom he has already given us. And I need your help telling others about this freedom. What is a Launch Team? A launch team is a group of readers (anywhere from 10 to 500) who are assembled as a team online. They are the ambassadors and cheerleaders for the book and will be given specific tasks that set them up as the on-the-ground marketers (or street team) to help spread the word! 1. Sharing about the book on your social media channels (Facebook, Twitter, Instagram, SnapChat) or with your team, small group, book club, or organization. 2. Sharing about the book on your blog (but having a blog isn't a requirement). 3. Posting a review on Amazon and BN.com. 4. Finding other creative ways to tell someone about the book and how it has impacted you! 2. Access to a private Facebook group where the team will gather for updates and news and get to know each other. 3. An invite to a book launch party in Franklin, TN on February 21st! 4. Insight into the world of book marketing. If interested, please fill out THIS FORM to apply. Give us until Friday to collect applications and pick the team. We only have 500 spots (that is how many early copies of the books we can give out), so thanks for your patience and understanding as our team reads through your application and chooses the right team for this book! Freedom is for everyone who wants it--the lost, the wounded, and those weary from striving. I can't wait to get this book in your hands and the hands of your friends, family, small group, and co-workers--but I can't do that alone. I am so grateful for the help!